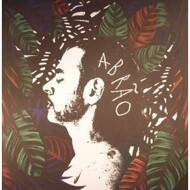 Abrao, which means Abraham in Portuguese, was born in 1963, in Sao Paulo, Brazil, growing up in the 60s, in the jewish ghetto of Sao Paulo. Abrão, which had a big lust for life, was struggling with society rules, and wanted to push new borders. He was the lead singer of the underground post-punk band "Kafka", performing a lot in the Sao Paulo area during the 80's. He left the band, and travelled for a psychedelic musical research to India. In 1997 he wanted to try and start a new life so he moved to Israel. Also known as the mysterious voice behind the vocal productions of Red Axes, such as Papa Sooma, Caminho de Dreyfus, Waiting for a surprise, Sabor and many more. So now, after several years of intensive touring and recording, performing already on festivals such as Sonar and Primavera and many more, releasing on labels such as Correspondent, Crosstown Rebels, Multi Culti, and more.